What I didn’t mention is that I’ve also been studying voice. I was quite the little songbird, as a kid: I sang in choirs through all of my school years, and in a couple of semi-pro ensembles. My choir directors loved that they could plug me—and my three-octave range—into any vacant spot. But I never took any lessons, and I was always ashamed of my upper range. I could easily hit a high E (and if conditions were right, even a high G), but the tone was often less than pleasing. Like a hamster being stepped on. Or a rusty, squeaky hinge. So I gradually stopped singing, and eventually I convinced myself that I didn’t have a pleasing voice. Still, I came home from Paris singing Paul Simon’s The Boxer, Richard Thompson’s heartbreaking Bee’s Wing, Christy Moore’s In the City of Chicago. And, yes … Edith Piaf’s Non, Je Ne Regrette Rien—my new personal anthem. We did some warm-up exercises, and she confirmed what I knew: Once I move past the passaggio, I get tense, and I start to emit these horrible little strangled screams. Really not great for karaoke night. And each week, I could feel my voice changing a little bit. I felt stronger, more confident. But the upper half still sounded squeaky. I took a deep breath, I followed her instructions, and I let ‘er rip. And for one brief shining moment, I produced a sound so rich and resonant—so powerful—that it seemed like someone else’s voice. But that’s OK. After years of trying so hard to control my voice, to make it sound like the pop stuff on the radio, I’m finally beginning to accept that it is what it is. And I feel so fortunate to have a teacher who is willing to coach me and guide me, to help me move past imitating others, and to help me make the most of the voice I have. 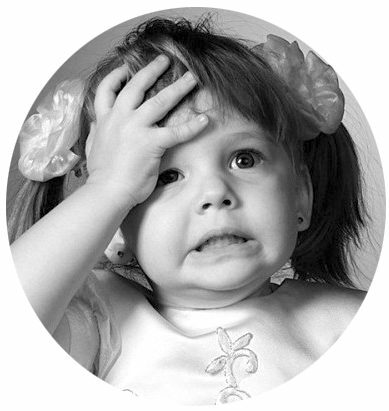 Previous Is time-management right for you? Next Is it a beard—or is it art? How delightful to find your comment here, mate! Music can be such a powerful thing, the way it can take us back to a very specific time in our lives. The Boxer is special to me, too, for that very reason — although I’d love to hear your story, if you’d care to share (I’ll drop you a personal note). OMG, best bra EVAR!! That picture made me choke on my tea! Madonna and JP Gaultier, eat your hearts out. Oh, and – good for you in taking up singing again. It was really interesting reading what your tutor suggested. I too sang in choirs for years and years and had/ have a huge range with (increasingly with age) a relatively weak top register. Since moving to the sticks nearly a decade ago, and then having kids, I have no longer been singing regularly and my singing voice has disappeared from lack of use. I’ve been thinking of trying to find a choral society, though, to ease my way back in. How typical of you to jump in and ‘do’ something about what you want – very inspiring. Enjoy your voice! I’m with you on that bra, dancingbeastie! Talk about a woman who can’t be ignored! 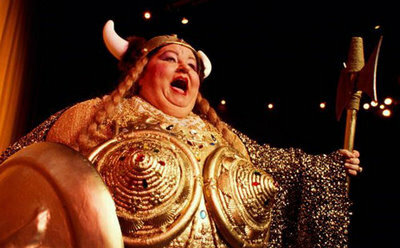 Loved your blog…I too had similar singing experience…turns out I’m not an alto but a DRAMATIC SOPRANO….Hello Brunhilde! That part was written for that voice type. Kudos to you for not burying your instrument like I did for so many years. By the way, where did you get the photo of Brunhilde? Can I use it for a speech in need to give in my Public Speaking class at the university? Holy cow!! From alto to dramatic soprano?! That’s a heckuva transformation. But I’m very glad you discovered your true voice. It’s one of life’s great paradoxes that being true to ourselves is one of the simplest things we can do as humans — but also one of the hardest. As for the photo … I got it from a Google search of public-domain images. I’ll check my laptop tomorrow to see if I still have the original URL. In the meantime, thanks so much for reading and commenting! Nice post! I love singing – just for the pure pleasure of it.